Why are you an Aztec historian? I had a childhood fascination with the Aztecs and I just never grew out of it. What’s the most important lesson history has taught you? That people can hold very different values, and do things which may seem incomprehensible, but still, in many ways, be just like us. Which history book has had the greatest influence on you? Timothy Brook’s Vermeer’s Hat is the recent book I most wish I’d written. What book in your field should everyone read? Aztecs: An Interpretation, by Inga Clendinnen. Which moment would you most like to go back to? I’d love to know how and when Cortés managed to capture Moctezuma. Which historian has had the greatest influence on you? It’s got to be Inga Clendinnen again. She had a great gift for hearing the silent voices of history. Which person in history would you most like to have met? Okay Spanish, rusty German, dodgy French. I read all of them much better (plus some Nahuatl and Latin). What’s the point of counterfactualism? What’s the most exciting field in history today? I would say this, because it is my current research, but there is amazing work going on about Native American travellers. It is totally changing the way we think about indigenous people. What historical topic have you changed your mind on? How we can use oral history. Which genre of history do you like least? Economic history isn’t really my cup of tea. Is there an important historical text you have not read? Loads! But one particularly shameful gap is Fukuyama’s The End of History. Not an archive, a source: the Florentine Codex. For my field, the National Museum of Anthropology in Mexico City. Otherwise, the Philadelphia Museum of Art. Neither have much to recommend them, but I suppose I’d better say Cromwell, since I was a fellow at the college where his head is buried! 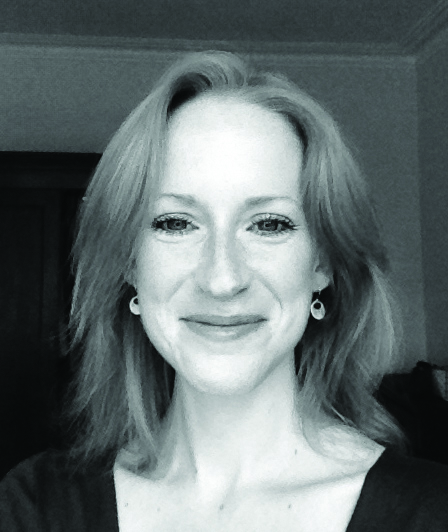 Caroline Dodds Pennock is Lecturer in International History at the University of Sheffield. She is the author of Bonds of Blood: Gender, Lifecycle and Sacrifice in Aztec Culture (Palgrave, 2008).